The first 100 megawatts are the hardest. 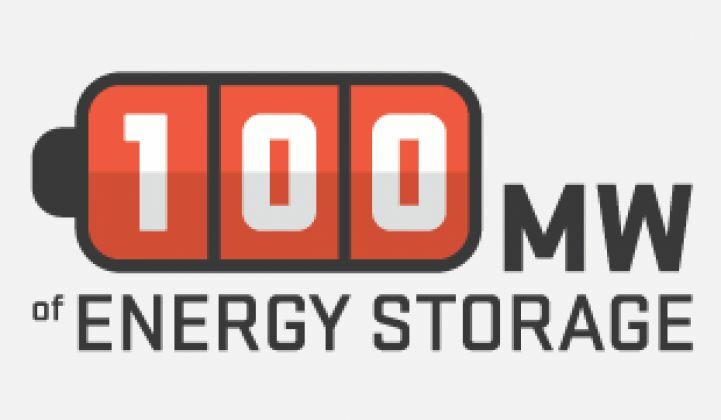 With the recent christening of the 40-megawatt Tait energy storage array, AES Energy Storage has now installed more than 100 megawatts of energy storage in the U.S. It stands as a milestone for the vendor, as well as the grid-scale energy storage market as a whole. The 40-megawatt project at Dayton Power and Light’s Tait generating station in Moraine, Ohio provides fast-response frequency regulation and grid stabilization services to the PJM Interconnection. The project "helps to meet the needs otherwise provided by power generation from inefficient or retiring power plants," according to a statement from the company. 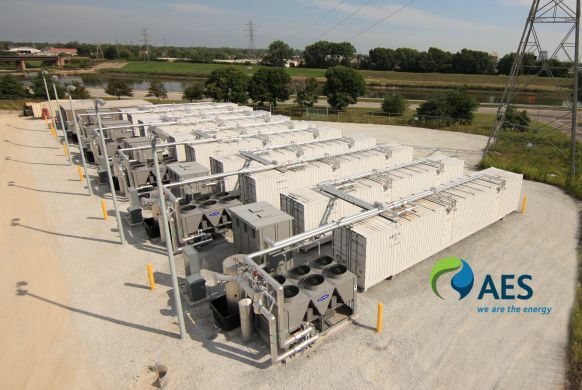 AES is not in energy storage trials -- it's in the business of extracting value from energy storage, and it operates the biggest fleet of battery-based energy storage resources in North America. As this firm builds and scales, it's worth watching as it develops its project pipeline in this nascent market. The Tait project is notable as one of the first big storage project to benefit financially from PJM’s new tariff for fast-response regulation designed to comply with FERC Order 755. Enacted in 2011, Order 755 increased the pay for “fast” responding sources like batteries or flywheels that are bidding into frequency regulation service markets. AES Energy Storage's parent company, AES, had 2012 revenues of $18 billion and $42 billion in total assets. In addition to AES' obvious bankability and strong balance sheet, the power company is a built-in customer that knows how to maximize value in its generation assets with energy storage. We spoke with Andres Gluski, President and CEO of AES, along with Chris Shelton, President of AES Energy Storage, on Monday afternoon. "What's important about AES," said Gluski, "is that we will choose the best technology for the particular market." Shelton added, "We like sealed batteries -- we're agnostic within that technology." The Tait battery array incorporates more than 800,000 battery cells and connects through DP&L's Tait station’s transformers. Shelton notes that AES has a number of battery suppliers, including A123 and Mitubishi. The executives emphasized that AES had been working with lithium-ion energy storage for five years and that any new battery entrant has to prove not only its technology, but also its "track record and balance sheet." A number of startups such as Ambri, Aquion and Eos have new battery chemistries and are targeting low-cost, utility-scale energy storage as well. In June of this year, California's Public Utilities Commission released a proposal asking the state’s big three investor-owned utilities to procure 1.3 gigawatts of energy storage by 2020, "along with market mechanisms to start the procurement process as early as next year," as reported by Jeff St. John. Regarding the California storage ruling, Shelton said, "We see a measured approach where storage has to compete along with other resources." In PJM, the needs are for frequency regulation and grid stabilization, but "there are different needs in California." He said, "This would be a capacity-type contract process -- and we're very familiar with that process." AES also has 74 megawatts of energy storage in Chile. Capacity relief is a driver for storage in Chile, specifically, relief for thermal plants. (We've reported extensively on Chile and its growing energy storage and solar markets). As noted, AES Energy Storage has a built-in customer in AES. Gluski states that AES is "interested in markets where we operate," and AES operates three thermal gas plants in California, as well as solar projects, including the 350-megawatt Mount Signal, plus four wind projects totaling more than 180 megawatts. Shelton concluded, "Customers focused on flexibility, resilience and efficiency are a good fit for energy storage," adding, "Part of those procurements coming from California are because of those needs." It took about five years for AES to get to 100 megawatts of energy storage. Market conditions and AES' trajectory suggest that the next 100 megawatts will come far quicker. Other major players poised to ride this growth wave include S&C, ABB, and GE.